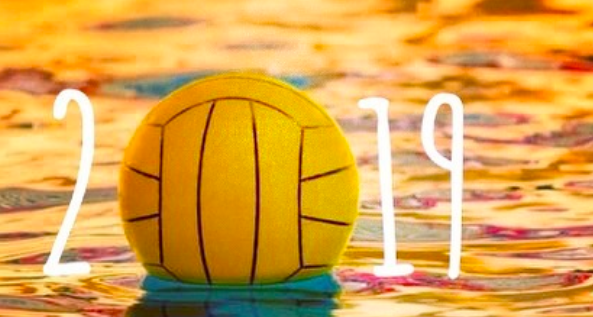 WPNEWS » What is in store for the water polo world in 2019? 2018 was awesome – you can check out our “year in review“. But 2019 will be great as well with a lot of excitement and huge water polo events. Here is a quick calendar of the most anticipated events of the water polo year. The best water polo national teams outside Europe (likely USA, New Zealand, Canada, Japan, China, Kazakhstan, Brazil and South Africa) will face off to qualify for the Super Final, where they will meet European teams as well to try to qualify for the 2020 Tokyo Olympics. The best teams from the World League European Prelims will face off to take home the trophy of this newly established tournament. The first edition was won by Croatia (men) and Greece (women) last year. There are four teams remaining at the moment in the second biggest European club tournament: OSC from Hungary, Jadran Herceg Novi from Montenegro, Ortigia from Italy and Marseille from France. Two will advance to the Euro Cup Final, where they will face off twice to decide the faith of the trophy. The group stage of the Euro League has not started yet, but the best 2 teams from each group will advance to the quarterfinals. The winners of the quarterfinals will advance to the Euro League Final Four, while the losers will participate in the LEN Trophy Final Four. Sixteen teams are currently fighting to advance to the Final Eight in the Champions League and to have a chance to take home the most precious club trophy in water polo. Four teams will qualify from Group A (current standings: Pro Recco, Baarceloneta, Brescia, Ferencváros, Dynamo Moscow, Eger, Steaua Bucharest and Crvena Zvezda), Hannover will be there as hosts and three other teams will qualify from Group B (Jug Dubrovnik, Sport Management, Olympiacos, Mladost, Szolnok, Spandau and Jadran Split). The four best teams from the Intercontinental Cup and the three best teams (plus the host, Hungary/Serbia) from the Europa Cup will participate in the Super Final in the first month of the summer. The winner of the Super Final gets a quota for the 2020 Tokyo Olympics. Both men’s and women’s tournament will have 16 participants based on various quotas from the previous World League, World Cup and continental tournaments. They will try to take home one of the most precious trophies in national team water polo. At the end, the two best teams get a quota for the 2020 Tokyo Olympics in the men’s competition and the winner gets a quota in the women’s competition.